Focus Migration is a boutique immigration law firm based in Canberra. 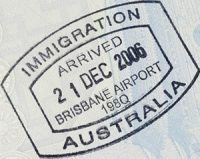 We offer a broad range of specialist Australian migration services, ranging from the provision of advice and visa assistance to corporate clients, to assisting individual clients with their personal visa applications. Our areas of expertise include Subclass 457 Temporary Work Visa, Business Sponsorship, Employer Nomination Scheme (ENS & RSMS), Partner visas and Skill Select visas. We pride ourselves on providing the highest quality of immigration assistance and advice across all visa categories. At Focus Migration you will benefit from our extensive experience in providing a tailored solution to meet your particular immigration needs. Our premise is based on the knowledge that no client is the same and that clients require personalised solutions and the best way forward to meet their particular needs or circumstances. Our approach is to provide you with courteous, expedient, professional visa and migration service of the highest calibre. Our suite of visa and migration services are designed to ensure all clients are kept well informed throughout the application process and aim to support you in obtaining the best possible results. At Focus Migration, our clients always come first.